There are many factors that can make your home environment limiting or unsafe. The once familiar & secure environment of the home can become an overwhelming place for someone following an injury or illness. The role of assessing the home environment from the person’s perspective is one which is critical to maintain a person’s daily routines and self esteem. 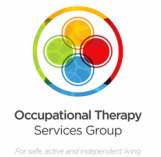 Our Occupational Therapists are trained and experienced in completing home assessments and rehabilitation. Experienced difficulty getting into & out of chairs/ bed/ shower? Experienced difficulty getting around your home? Had difficulty getting up/ down stairs? Found it harder to recall or remember items or events? Found it difficult to complete all the household tasks each day? Undergone surgery? Been an inpatient at a Hospital? Experienced limiting pain for a significant period of time? Experienced a decrease in the distance you can walk? Experienced changes in your balance or vision?